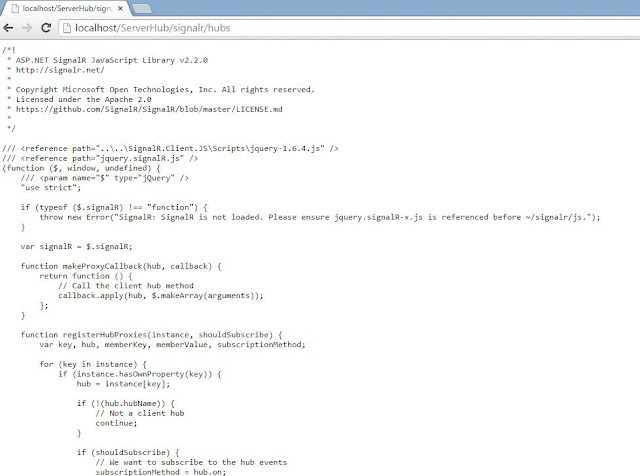 Recently I created a sample SignalR simple chat application. 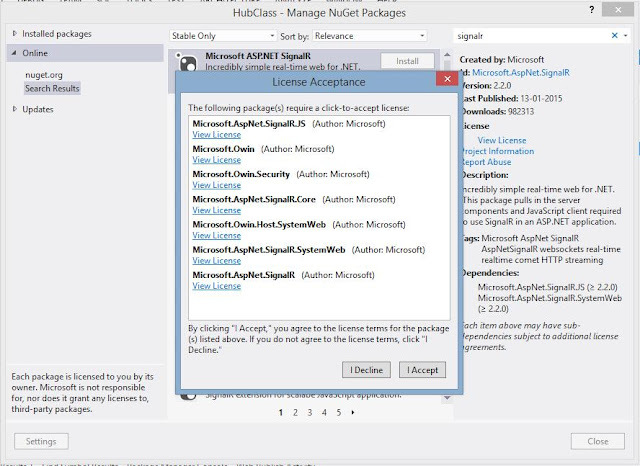 That included a hub class and the calling client in the same application i.e. 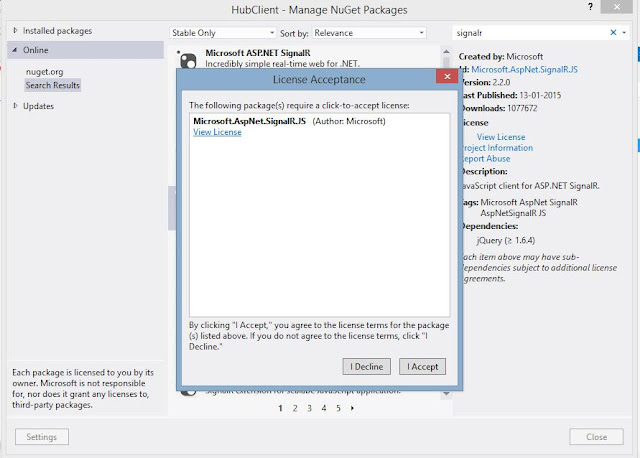 when the client application is hosted, the hub get's hosted itself. You can check that article here. 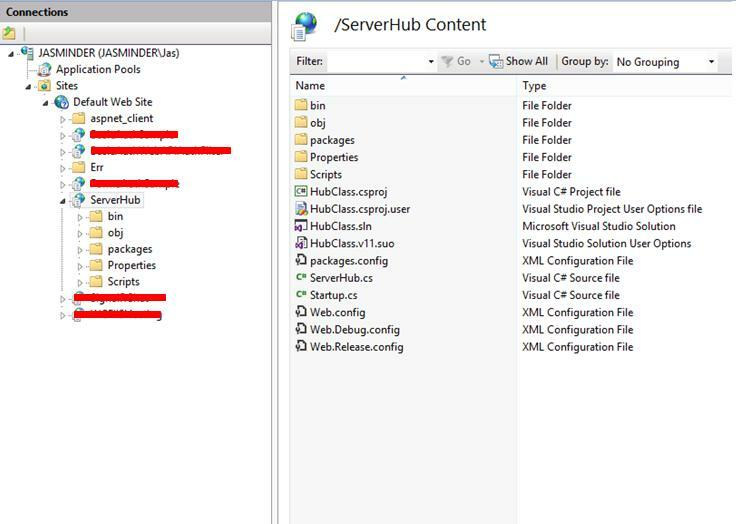 But after creating that, I realized that what if we need to have the hub and the client applications separately, say the hub is hosted as one application in IIS and the client application is hosted on another server. So decided to create these two as separate applications and see what configurations are required for them. So let's start by creating the hub class. 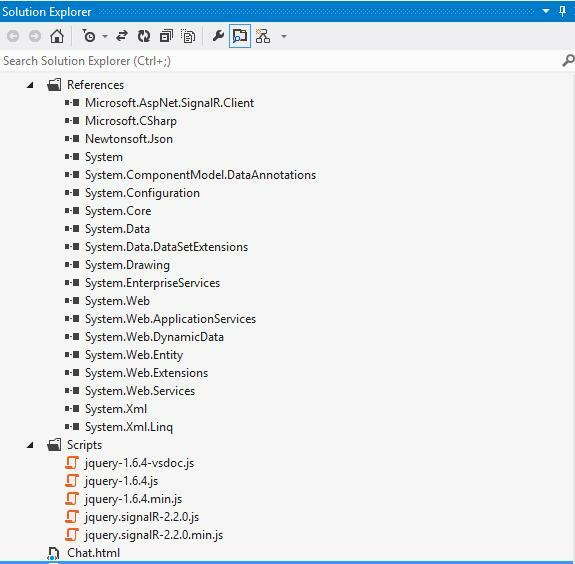 For this, we create a new empty asp.net application. 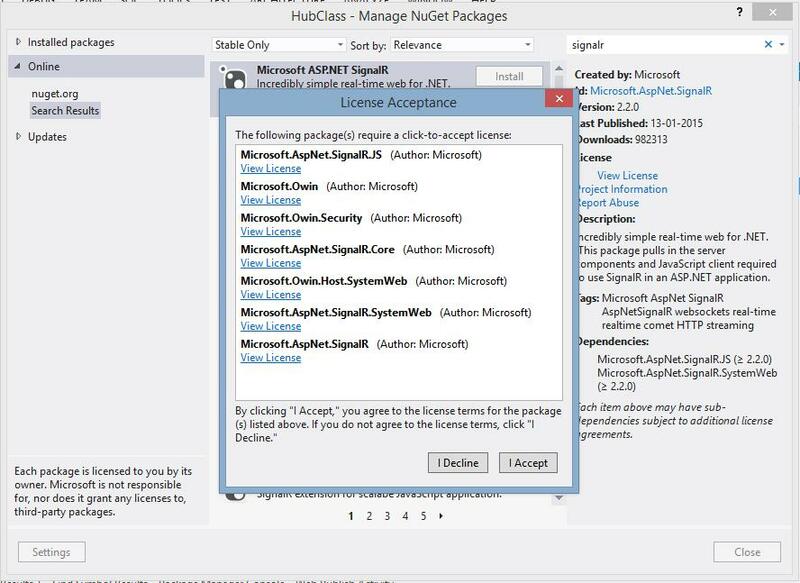 Next, in order to make it a server hub class, we add references to the SignalR package using nuget package manager. 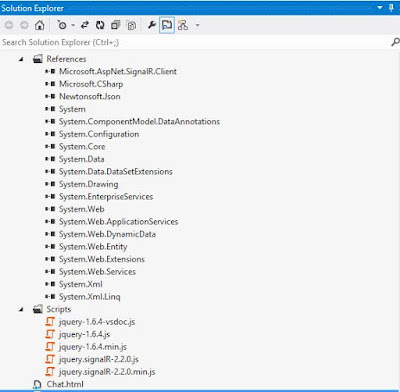 This also includes the OWIN libraries so that the OWIN Starup class can be created for this. That's it. Run the application in two different browsers and you can see the code in action. So this was how we can host the signalr hub on IIS as a separate application. Hope you enjoyed reading it. Happy coding...!! !